It may be just the Mother Hen in me or is David looking just a little tired? Well he should be tired, even for an 18 year old! The Buzz is he has an album coming out before Christmas plus a Christmas album as well. If that’s not enough he has to finish this tour, then to Asia and to the UK. Grant you, at least in the UK his songs may be less as he is opening for McFly and he might be able to rest a little more in between concert dates. But now we hear there may be a summer tour as well. Yippee for all of us, but I feel for David and the limited time he may have doing two albums in one year. Now we all know he already has several songs he can put on the new album — Zero Gravity and many more that never went on the first one. Also there is the possibility he may even do covers of other Artists. The Christmas album may even be easier and the standards are already written, maybe just a new version and some rearrangements, although that takes time as well. Nevertheless, David puts so much emotion and energy in every performance it must be hard to find any down time and to be just a teenager. He does love what he is doing so I must imagine that has to keep him going strong from day to day. Eat well, rest when you can and no more 2:00 am blogs! Ha! Ha! Will see you on tour! I know what you mean pikepss, the mom in me often worry about his already too busy schedule each time something new is added to it, ie added shows the tour, album, etc. But as a teacher and someone who values education, I also worry about him finishing school. I know earlier on he stressed how important education is to him, then I read somewhere (I think it was on a fansite) that he was not going to finish and I have to say that my heart sank. Now I have read that he is doing online courses. I wish for him, more than becoming a “megastar” , is for him to graduate, he is still very young and, I am sure, will have many years and opportunities to achieve stardom, but he only has this one time to graduate with Murray High Class of 2009. Ps, I also tell myself that David is a remarkable young man with very high standards and goals and that if he pushed himself to complete the requirements to get his Eagel Scout Badge, then certainly he will complete high school too. goboywonder, I too have been wondering how David is handling his senior year of high school. I hope he will somehow be able to graduate. When I travelled to SLC last October, the school admin secretary told me that David would have to be present in person for at least one class in order to attend the graduation ceremony. I had hoped the school could accommodate him in, say, a music class! Maybe his online classes will allow him to get all the work done so at least he can get his h.s. diploma. If David could find time to squeeze in schoolwork during American Idol, I’ve no doubt he is making progress on his senior coursework at this time. I’d love for him to be able to attend senior graduation with his classmates. Hopefully, Murray High will accommodate him and allow for his participation in graduation ceremonies even if he is not technically ready to graduate by then. I’m excited for a Christmas album, but I honestly hope the rumors of another non-holiday album coming out so soon are false. His current album needs more time on the charts in my opinion. For goodness sake, Jive/Zomba needs to be working a lot harder to promote ALTNOY, and after that at least one more single, say “Your Eyes Don’t Lie,” should be released. 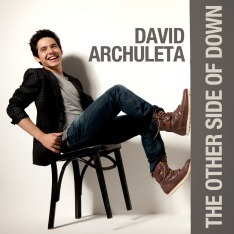 Now that a member of the famous couple (you all know who I mean) has become a liability, it’s time his record label devotes more energy and resources to the incomparable David Archuleta.